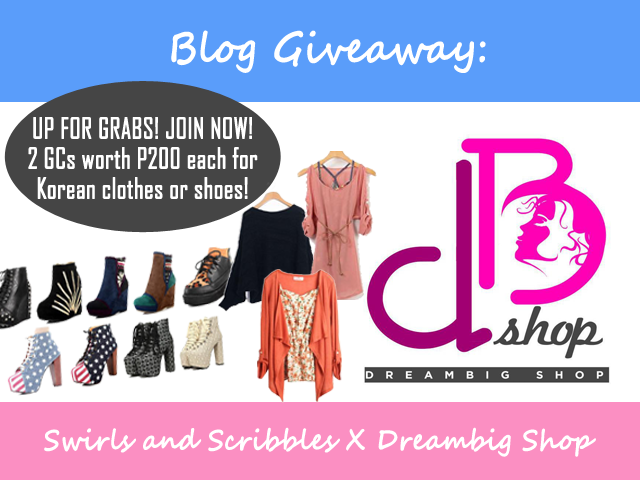 Because Christmas is near, DreamBig Shop is giving away 2 of my lucky readers a P200 worth of GCs. Horeeyy! Another giveaway for you my friends! You know the drill, join now!